How to make the most out of a test drive. When you visit Marion Toyota, you can expect to find a Toyota dealership that is incredibly passionate about customer satisfaction. We will go above and beyond to fulfill all of your automotive needs, and help you browse our wide selection of new and pre-owned Toyota brand cars. At Marion Toyota, we also understand the importance of a test drive, and how you can make the most out of it. When you sit down for a test drive, it is your first impression of a vehicle. During a short drive, you’ll have to analyze everything from the amount of cargo space to the handling of the vehicle. In the end, you’ll have to ask yourself, “is this the car for me?” There’s a couple ways to figure this out. For starters, before you head down to start your test drive, you should consider what kind of car would check off all of your automotive boxes. For instance, do you like power and cargo space, or do you prefer fuel efficiency and green energy? Answering these questions can mean the difference between buying a brand-new Toyota Prius and a Toyota SUV. When you’ve figured out what kind of car you’re looking for, the time comes for the actual test drive. When you visit the dealership, it is worthwhile to bring a friend or family member that you trust, to have a second opinion on the car you’re test driving. 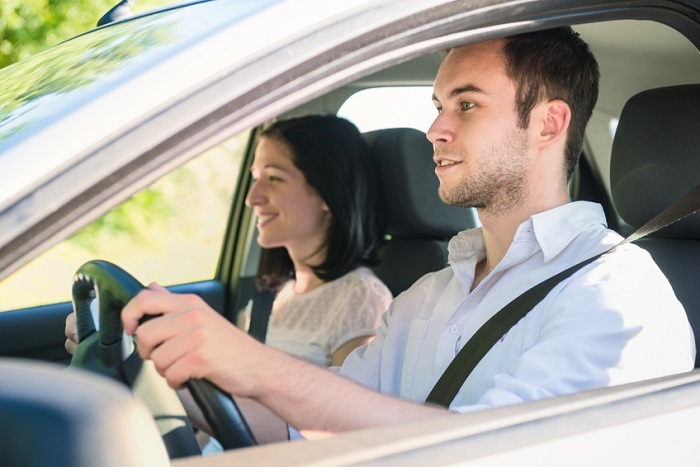 While driving, you should also drive a route that you do regularly. For instance, if you’re a commuter, drive part of your commute to get a real gauge as to what this new vehicle feels like. At Marion Toyota, we understand that your first test drive is incredibly important, and we’ll go above and beyond to help you enjoy every moment of it. Whether you’re looking for an SUV or a fuel-sipping hybrid sedan, we have you covered at Marion Toyota.